Tiny Love Magical Night Mobile Polar Wonders is a 3 in 1 mobile that comforts your little peanut from birth all the way to 24 months. This nursery accessory features ceiling and canopy projection, a music box, and a starry nightlight that will keep bubba content. Why should I buy the Tiny Love Magical Night Mobile Polar Wonders? 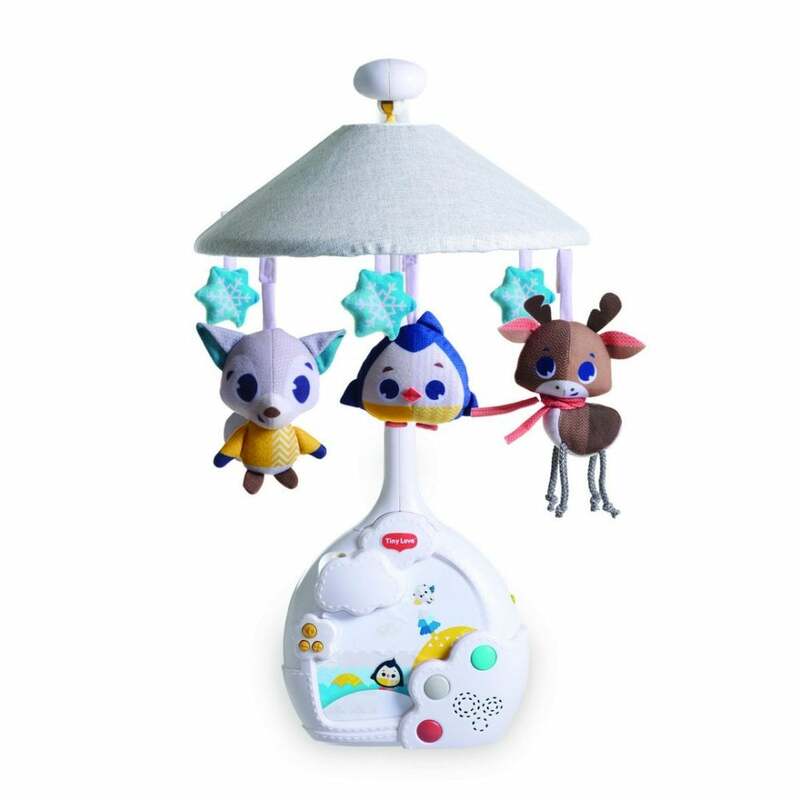 Tiny Love Magical Night Mobile Polar Wonders is designed to improve your baby's emotional intelligence, imagination and creativity- Straight from the word go. Plus, this 3 in 1 mobile will help in developing your bubba's senses, as well as calming them into a blissful sleep. This nursery accessory from Tiny Love features various stages of development for your bubba. From birth to 5 months, it features a musical mobile projector with overhead canopy projection and plush animal characters. Afterwards, you can use this musical projector from 5 to 18 months with ceiling projection. Lastly, from 18 to 24 months this magical night mobile turns into a bedside starry nightlight for toddlers. The Tiny Love Magical Night Mobile Polar Wonders has 30 minutes of continuous music for your little one to enjoy during play time or sleep. As well as this, it features a variety of 9 relaxing tunes including classical, nature, and lullaby too. What are the specifications of the Tiny Love Magical Night Mobile Polar Wonders?